Foam rolling can be an crucial tool for promoting recovery & increasing mobility. But, you’re probably making one of these 3 mistakes whenever you roll. It seems to have become the rallying cry of Crossfitters everywhere as self-myofascial release continues to grow in popularity amongst a variety of fitness circles. Admittedly, recovery is a hot topic these days, I even wrote about it in passing given all the recent hype. 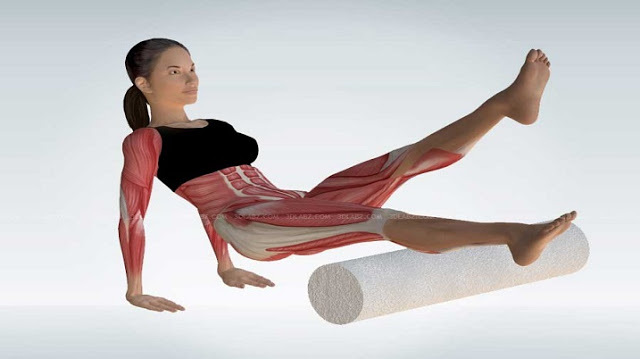 In fact, if you’re interested in recovery then you’ve probably investigated foam rolling as a viable solution to delayed onset muscle soreness (DOMS) or transient increases in range of motion (ROM). However, despite the increase in popularity, the topic is shroud in misinformation with many claiming it can “break up scar tissue”. Not so fast, chief. Sue Falsone (first female head athletic trainer in any of the four major sports in the United States: MLB, NFL, NHL, NBA). Now, I’m not saying you shouldn’t utilize any sort of active recovery modalities. On the contrary, I personally utilize and recommend foam rolling for my clients and athletes but I believe these modalities should be appropriately dosed relative to an individual’s current fitness level as well as their training load. Twice a week is plenty for the average gym goer – additional time may be recommended for specific body parts relative to the ergonomics of one’s work environment, personal wardrobe choices, or the overall emphasis of a training cycle. PRO TIP: Keep a lacrosse ball in your bathroom and roll out the bottom of your foot (base of the toes to base of the heel – NOT on the heel) every other night. Given your feet are your immediate connection to the ground, they can garner quite a bit of tension and may require a higher frequency of soft tissue work to maintain tissue integrity. Spend a minute or 2 traversing the length of each foot while brushing each side of your mouth. Who knows, your dentist might thank me for this one, you’ll be focused on rolling your foot and may end up brushing longer. It seems within the fitness industry many tend to associate pain as a badge of honor. News flash slick, no one gets a participation trophy for “Most Bruising Incurred While Foam Rolling”. “…Ruffinian and Pacinian corpuscles are two low-threshold mechanoreceptors, which respond to very minute levels of tactile input. These receptors can be thought of as “slow twitch” since they are mainly responsible for posture and joint positions over an extended period of time. In other words, you aren’t “breaking up scar tissue” with any sort of compressive self-myofascial release technique. Hate to break it to you, but you’d need a scalpel for that. Spend some time in a cadaver lab dissecting fascial layers and you’ll quickly find that they’re incredibly tougher. PRO TIP: PVC pipes and barbells can work for larger framed individuals with higher levels of lean body mass but for the average individual, you need to be careful with extremely high levels of compressive forces coupled with weighted implements. Remember, there is much more inside your meat suit than just a massive network of musculature – nerves don’t like being smashed, chill out with all the aggressive soft tissue work if something doesn’t seem to quiet down initially. The entire goal of fitness is to promote resilience and anti-fragility but at some point, you might exceed a tissue’s individual load tolerance and incur an acute or chronic injury. If that’s the case, then you may need to enlist the help of a trusted professional rather than trying to Macgyver the situation on your own. Not to mention, if the issue is chronic, then a voodoo floss band probably isn’t going to fix you overnight. Sorry, you can watch as many Kelly Starrett videos as you’d like, but nothing will replace the skill and expertise of a true clinician. For example, I work with a collegiate basketball team and many of them battle jumper’s knee (patellar tendinitis) throughout the course of their competitive season due to the exceeding high volume of ground contacts they experience from practice and game settings. Now, we can work to combat this issue by monitoring total training load, reducing fatigue with lifestyle interventions, improving antioxidant status via nutritional recommendations, or altering programming to address individual compensations. However, as a strength coach and sport scientist, none of my work is meant to replace the role of an athletic trainer or physical therapist. Ideally it is meant to function in conjunction with their skill sets to form a comprehensive and synergistic atmosphere to provide the team with the best opportunity for success. Choose your team wisely but don’t feel like you need to go it alone. PRO TIP: If the problem has persisted for more than a month, odds are you need to get it assessed by a professional. Also, please understand that if you have a chronic soft tissue issue, it will likely necessitate therapeutic modalities (ART, dry needling, IASTM, etc) along with programming modifications. Don’t think you can jump right back into your pre-injury programming without any negative ramifications. If you have to continually stretch/foam roll the same muscle group, odds are there are other factors at play. Strength training through a full range of motion in multiple planes, provides a weighted stimulus in a variety of positions which can help to alleviate specific tension generated within an isolated muscle group. Given that’s the case, there isn’t as much of a need to dedicate more than 5-6 minutes to a dynamic warmup before training. If you’re having to spend 20-30 minutes on foam rolling, joint mobilizations, breathing, core stabilization, and glute activation prior to any lift, then you’re probably more jacked up than you realize. Perhaps it’s time to take a look at your programming and overall recovery status before automatically assuming you need to smash or stretch something. Muscles are dumb, they’re controlled by your nervous system – they only contract when they’re told to by a higher order. 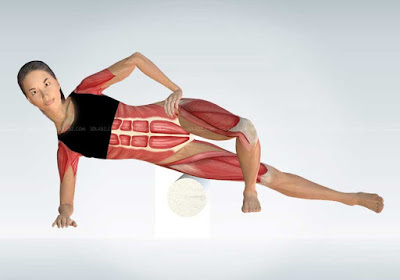 If a specific muscle is constantly “on” (i.e. what you perceive as “tightness”), then you need to dig deeper and ask “Why?” rather than simply reaching for the lacrosse ball or turning yourself into a human pretzel.